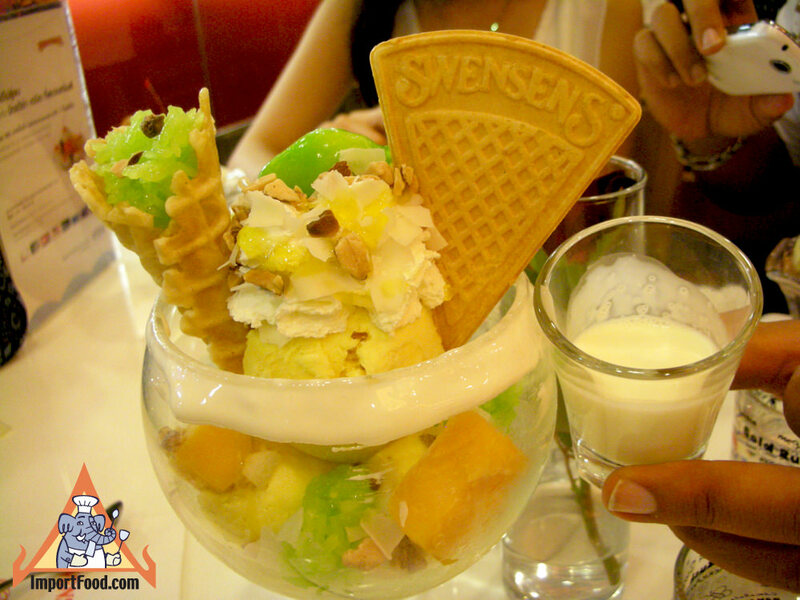 This dessert from Swensen, a franchise with many locations in Thailand, is very popular. 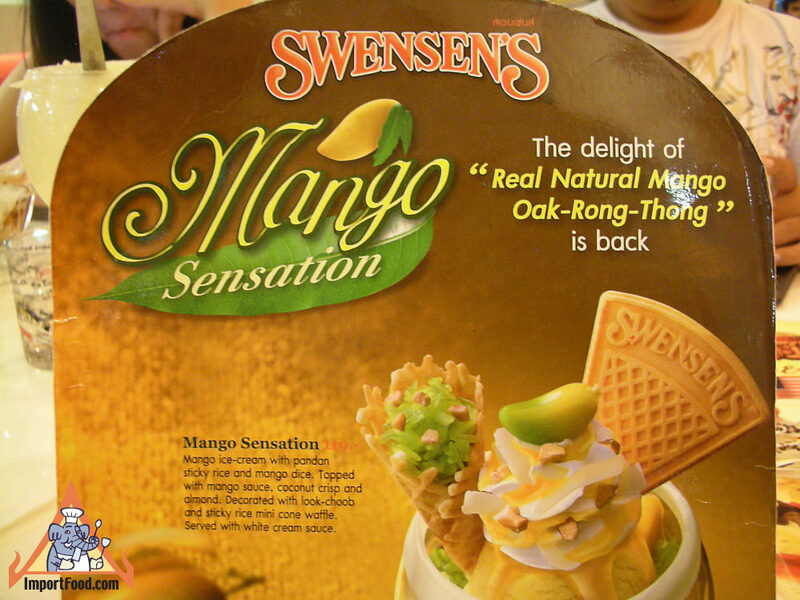 Called "Mango Sensation". Mango ice-cream with pandan sticky rice and diced fresh mango, topped with mango sauce, served with crispy coconut and almond. 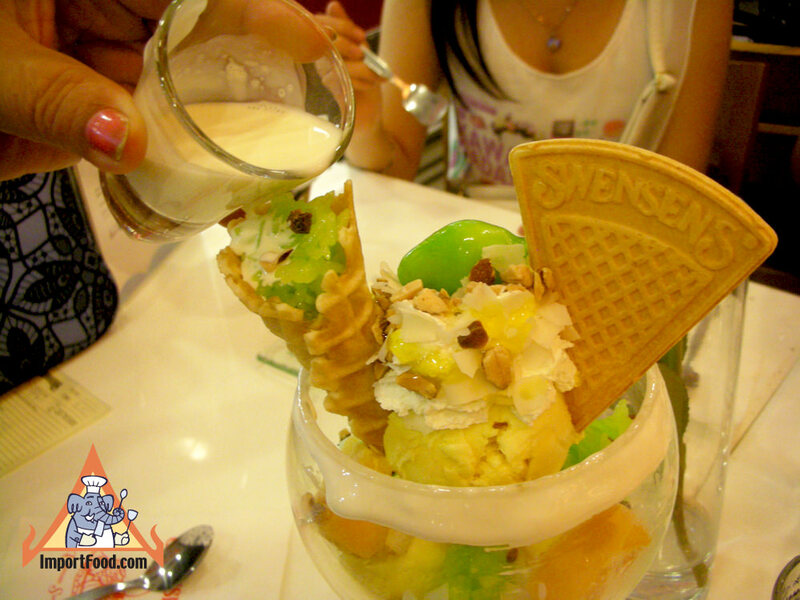 Decorated with Look-Choop (Thai style dessert in mango shape), served in a waffle cone. Sweetened coconut milk is poured over the top. All for about US$4.